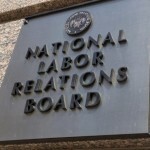 NLRB Invites Briefs on Changing Damages Calculation - CUE, Inc.
From a press release comes the latest foray of the Board into new territory. At compliance, the Board has long treated a discriminatee’s reasonable search-for-work and interim employment expenses as an offset that reduces the amount of interim earnings subtracted from gross backpay. See, e.g., English Mica Co., 101 NLRB 1061, 1062 (1952); F. W. Woolworth Co., 90 NLRB 289, 293 fn. 8 (1950); Crossett Lumber Co., 8 NLRB 440, 497-498 (1938). The General Counsel asks the Board to change this practice and award such expenses regardless of whether the discriminatee received interim earnings. (c) these expenses are awarded to employees under statutes other than the National Labor Relations Act. The General Counsel also requests that these expenses be calculated separately from taxable net backpay, with interest. What considerations warrant retaining the Board’s traditional treatment of search-for- 1 For the purposes of this notice and invitation to file briefs, we assume, without deciding at this time, that a backpay remedy is warranted in this case. 2 work and interim employment expenses?